Let’s see How to add and retrieve MVC Cookies in ASP.NET MVC Web application. 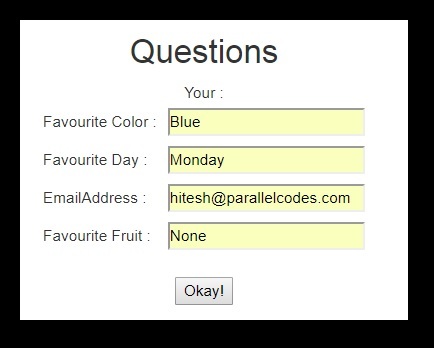 The application will be asking few questions to the user like favorite colors, number, fruit and email address and store the values in MVC Cookies and the next page will be showing up the values to the users. Create a new Model class Question.cs in your MVC Models folder. This class will declare all the necessary String variables that will be used in our MVC application. 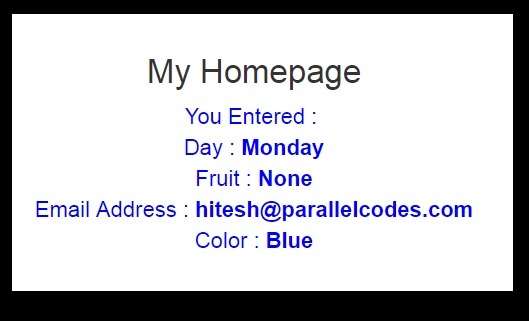 This view will be used to show the enter values to the Users which will be retrieved from MVC Cookies. Creating MVC Login Application with MS SQL Database and Razor.